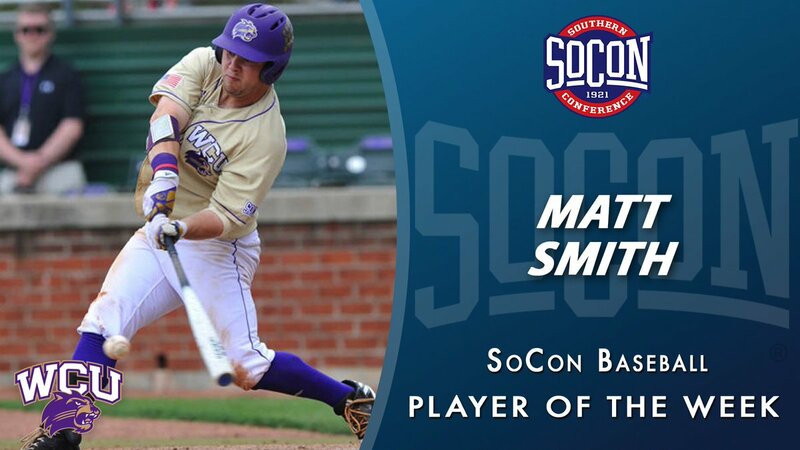 Western Carolina outfielder/first baseman Matt Smith has been named the Southern Conference Player of the Week for all baseball games from April 17 through 23. Smith hit .571, slugged 1.143 and had an on-base percentage of .700 as the Catamounts swept VMI after a midweek loss at Gardner-Webb. Smith hit two home runs and two doubles, walked three times, was hit by three pitches, scored five runs and drove in nine. He struck out just once in 20 plate appearances on the week. Against the Runnin’ Bulldogs on Wednesday, Smith was 1-for-3 with a double and a run scored as WCU fell 7-5. The center fielder was on base three times, also drawing a walk and being hit by a pitch, and he stole his 10th base of the season. In the series against VMI, the outfielder returned to first base, where he was an All-SoCon performer and tournament MVP a season ago. 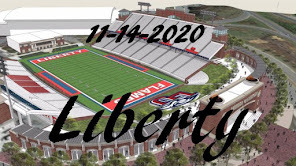 He responded by going 3-for-4 with a walk and a run scored in Friday’s opener and followed that up with three hits, two of which were homers, and a career-high seven RBIs in game two, which started Friday and finished Saturday after being suspended due to inclement weather. Smith reached base five times in the game, all in the first six innings of the 19-3 win. For the second time this season senior Scott Peretin has been named the Southern Conference Men’s Field Athlete of the Week. 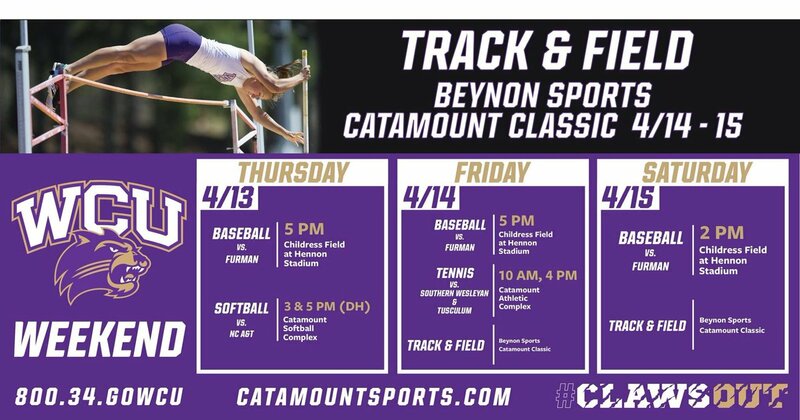 The Chapel Hill native took home a pair of event victories and a second place finish at the 2017 Beynon Sports Surfaces Catamount Classic this past weekend. 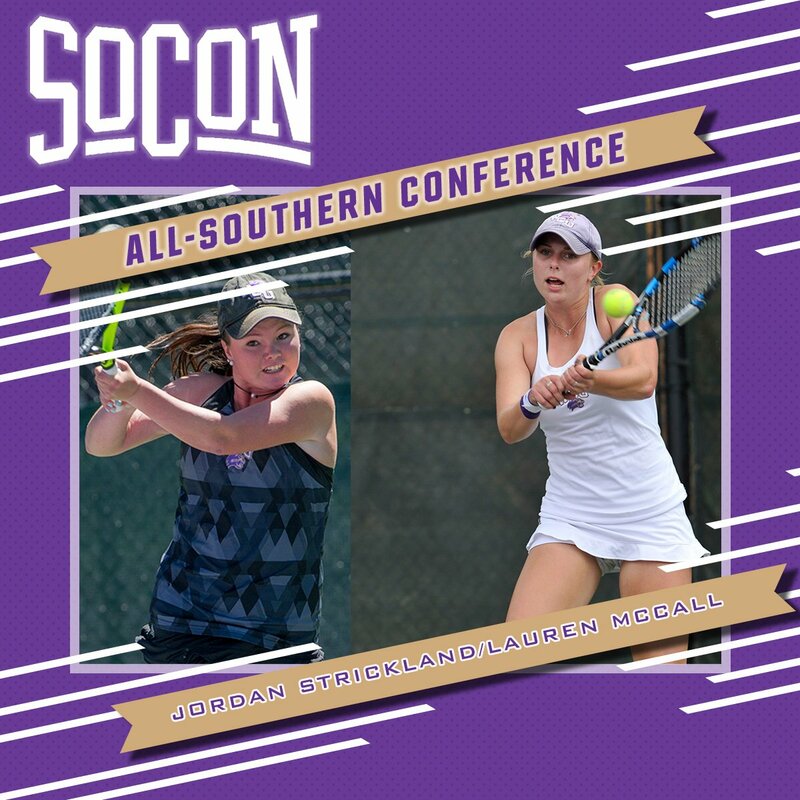 Jordan Strickland and Lauren McCall were named Second Team All-Southern Conference at No. 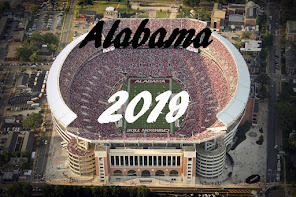 2 doubles the conference office announced Wednesday (April 19) morning. The pair is the first WCU doubles team to earn all-conference since the SoCon began giving out the award in 1993. Cook selected women’s outdoor field athlete of the week! 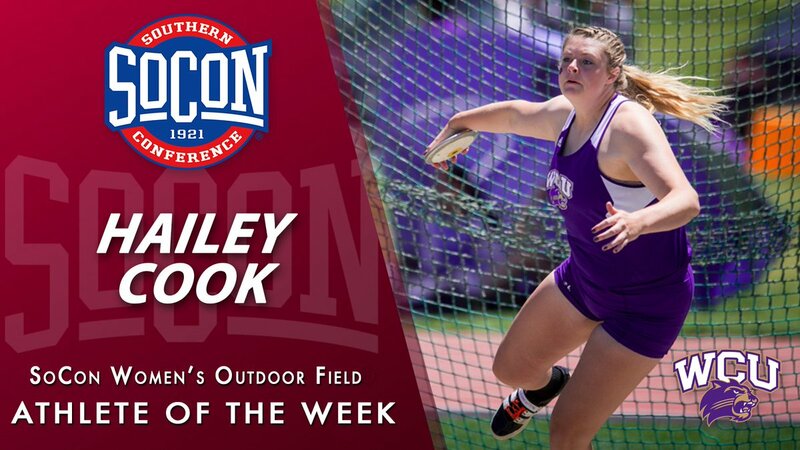 Hailey Cook selected as the Southern Conference women’s outdoor field athlete of the week! 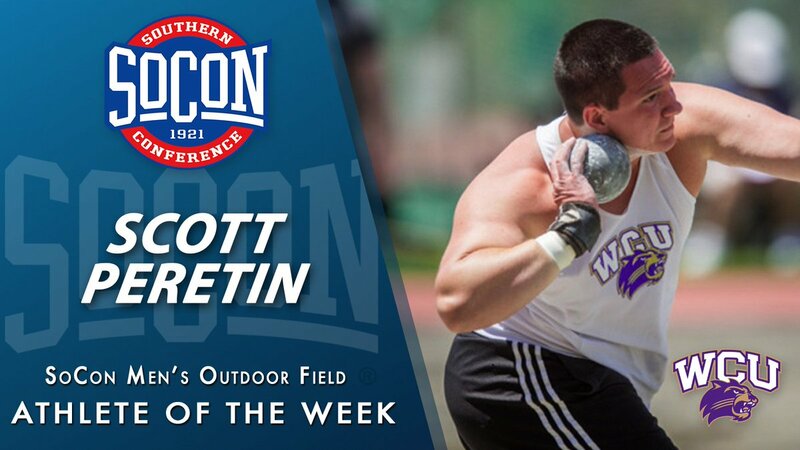 Scott Peretin selected the Southern Conference men's outdoor field athlete of the week! 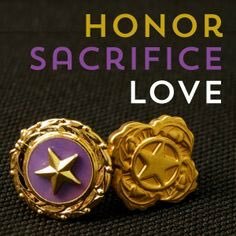 Behind every one of these pins is a spouse or family member whose loved one made the ultimate sacrifice. Honor them. 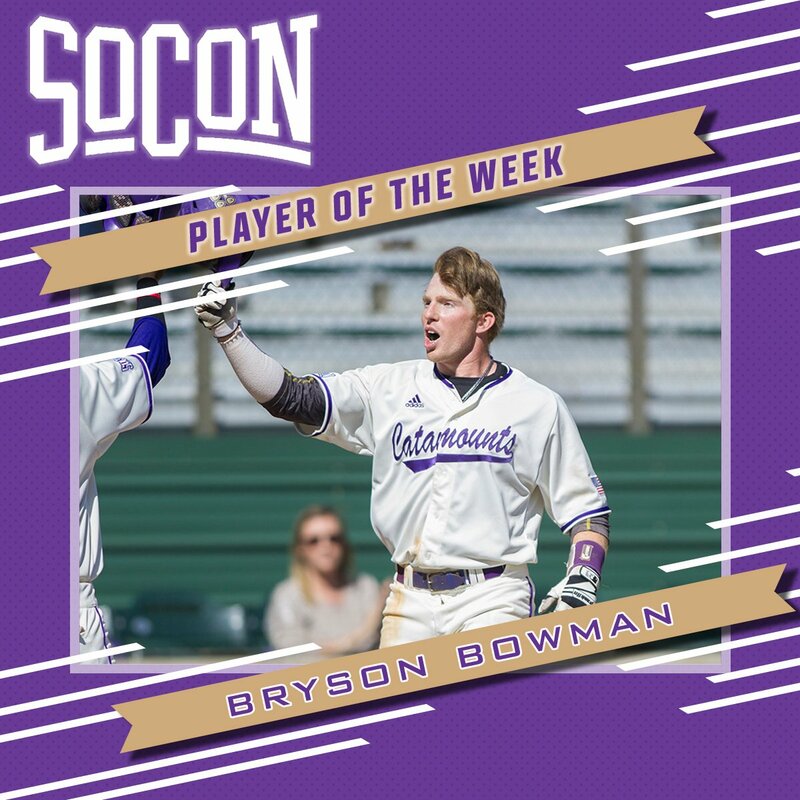 Bowman has been named SoCon Baseball Player of the Week. 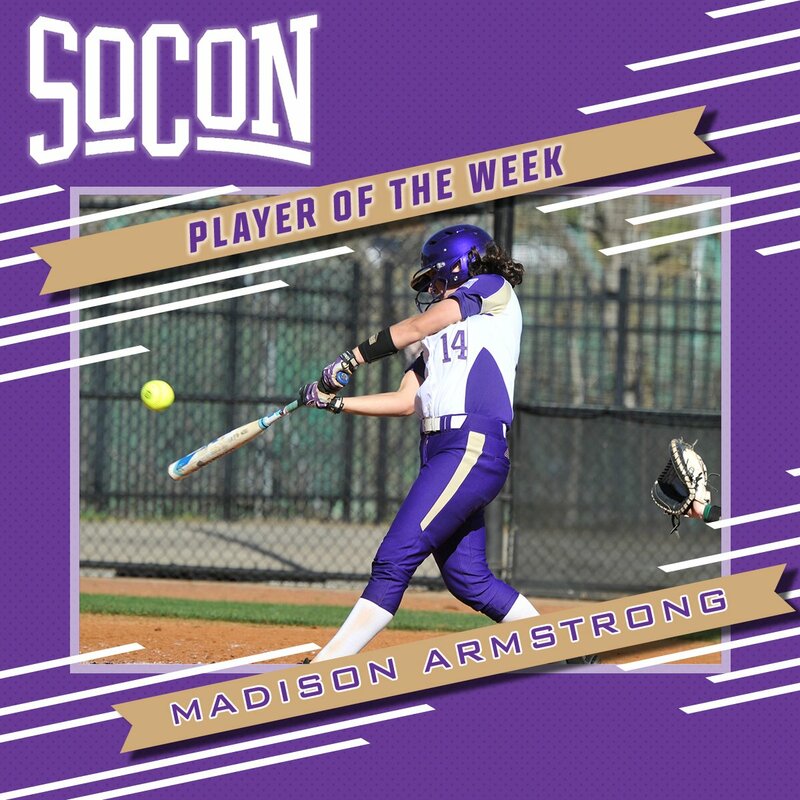 Sophomore catcher Madison Armstrong has been named SoCon Softball Player of the Week.